STAUNTON, Virginia, January 29, 2019 - A record number of training classes and participants highlighted the highly successful KOI Auto Parts-Federated Cavalcade of Customs. Held earlier this month at the Duke Energy Convention Center in Cincinnati, KOI and Federated also hosted a record amount of students at its Student Day, which annually kicks off the Cavalcade. As part of the popular annual event, Federated and KOI hosted special seminars for shop owners. Larry Pavey, CEO of the Automotive Parts Services Group (The Group) and president of Federated Auto Parts delivered a presentation entitled “Tackling Future Technology - Demystifying the Technology Challenge of the Coming Years” that was attended by over 250 shop owners. In addition, more than 70 vendor partners were on hand for a booth show, displaying products and answering questions for attendees. 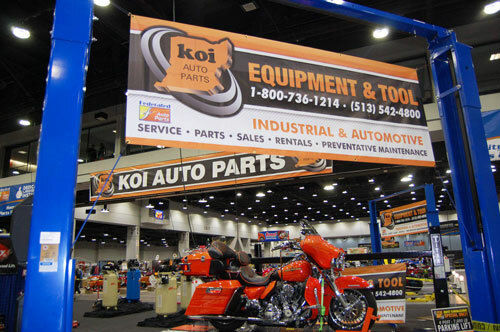 On the opening day of the Cavalcade, KOI hosted its annual Student Day where approximately 400 students from local high schools, adult education programs and colleges had the opportunity to attend a morning session where they heard testimonial presentations from successful auto care industry professionals.